Given that my father is from Greece, my love for Greek food and flavors come as no surprise. Lamb is a big part of Greek cuisine and every one in a while, usually on special occasions my father would make the most amazing lamb roast. Preparing the roast was always a very specific (and weird) process, which involved seasoning the lamb then wrapping it in wax paper, newspaper (yes, newspaper lol), tying it together with thread and putting it in a paper bag before finally roasting it in the oven for several hours. Strange as the cooking process was, it always came out amazing and I had always wanted to attempt it myself but it was too involved for my liking so I would resort to grilling up some little lamb lollipops instead, a much quicker and easier dish to prepare. This year with Easter upon us I figured it would be a great opportunity to keep the lamb roast tradition going and attempt to make one for J and myself. 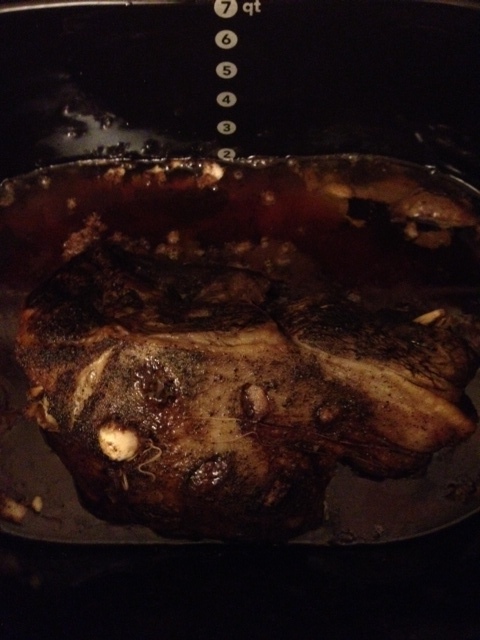 I decided I would make it in the slow cooker, because whatever magic occurs in the crockpot always ensures a tasty, tender roast which was key since I was going to cry if I messed up a piece of meat that cost almost $40.00, haha. I followed my Dad’s steps for seasoning the roast but stopped there, because I’m pretty sure that cooking your food in newspaper can’t be good for you, lol. It came out amazing!!! I served it up with my Lemon and Herb Roasted Potatoes and could not have been more thrilled with this delicious meal! 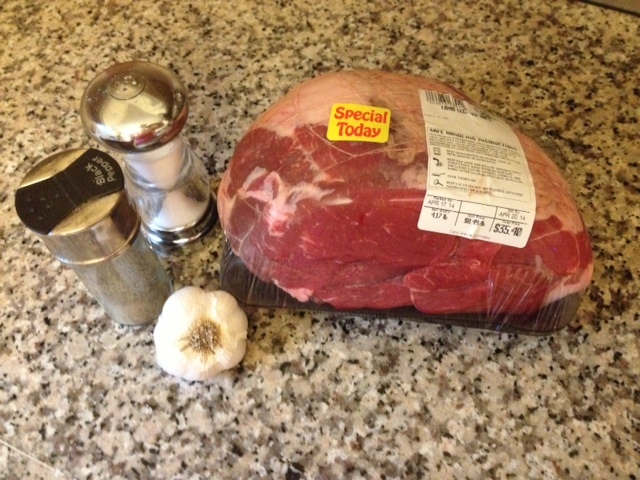 Sadly our grocery budget won’t allow for us to make this often but I am super excited to make my next slow cooker lamb dish. So if you love lamb and are looking for a simple (emphasis on simple – this has only 4 ingredients!!!) 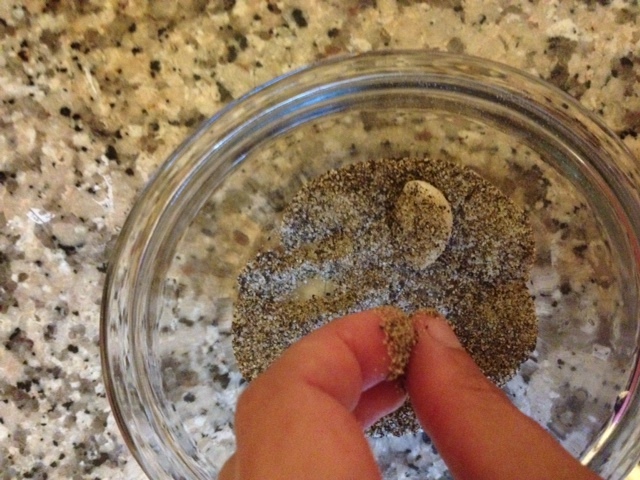 recipe that is absolutely delicious and will make you look like a superstar chef, this is it!!! Καλό Πάσχα (Happy Easter)! Peel all of your garlic cloves (I just do so by smashing them with the broad side of the knife, it doesn’t matter if they get broken into smaller pieces). 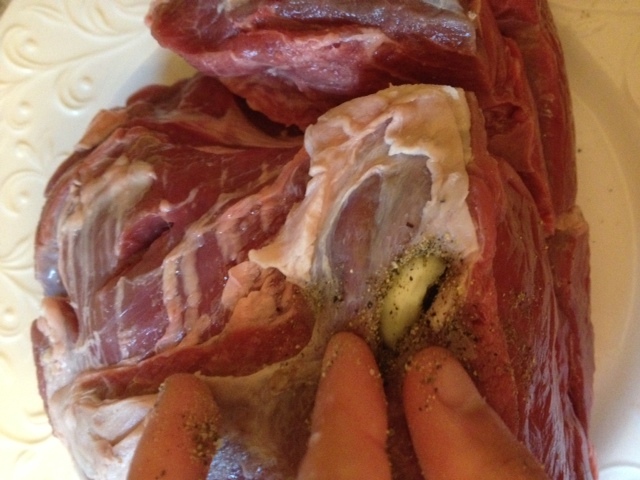 Using a small knife, cut small slits all over your lamb roast (top, bottom and sides), making sure there is one slit per clove of garlic. Take a pinch of the salt and pepper mixture and mash it into each of the slits you have made, then stuff a clove of garlic into each individual slit. 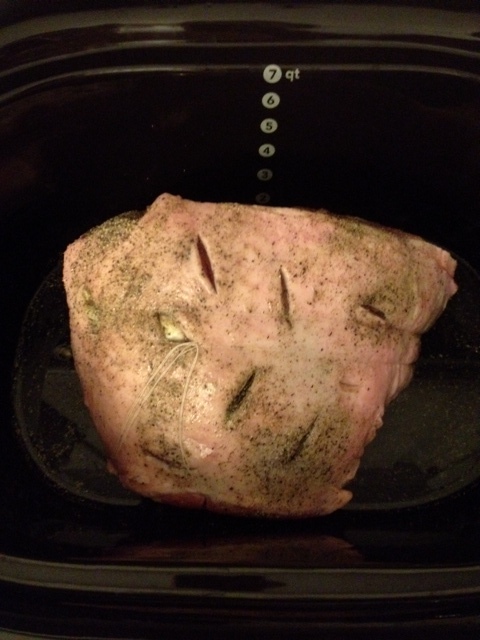 Rub the remaining salt and pepper mixture all over the roast. 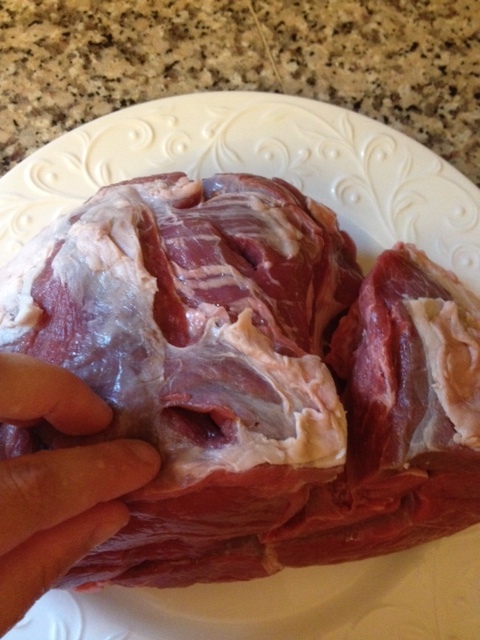 If your roast is boneless, use a piece of kitchen twine to tie the roast together so it does not fall apart as it is roasting. 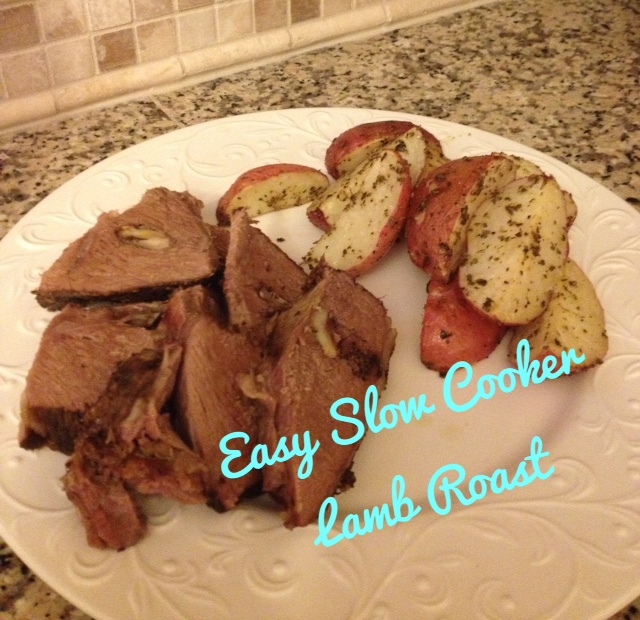 Place the roast in your slow cooker, fatty side up.